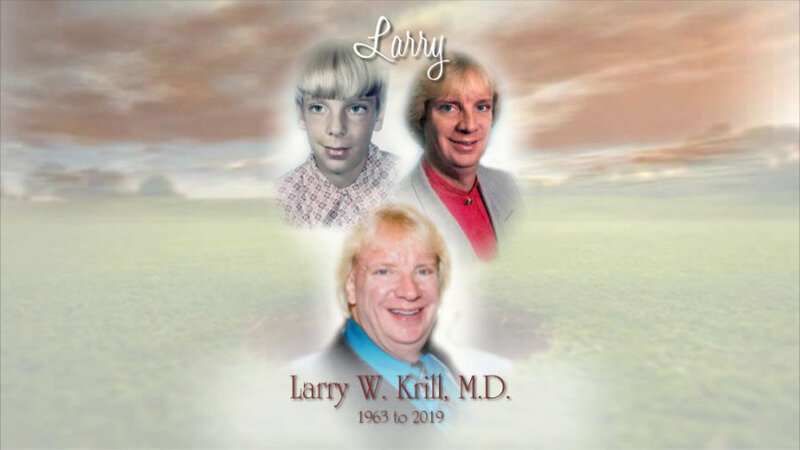 Larry W. Krill, M.D., 56, of Sylvania, OH, passed away January 24, 2019. He was born January 8, 1963 in Mansfield, OH, to Winton and Margaret (Wadsworth) Krill. Larry grew up in Millersburg, OH, where he played basketball in high school, was a member of the National Honor Society and was Salutatorian of his 1981 graduating class. He then went on to study at Ashland University and enjoyed being a member of Phi Delta Theta Fraternity, receiving his degree in 1985. Larry earned his Medical Degree from the Medical College of Ohio, followed by a residency in Internal Medicine, also at the Medical College of Ohio. He was a member of the AMA with a practice at The Toledo Clinic. Larry enjoyed sports and was an avid Ohio State fan (GO BUCKS), loved to play golf around the Toledo area, and especially enjoyed the northern Michigan golf courses. The past few years Larry attended The Masters Golf Tournament in Augusta, GA, with his brother and nephew, a trip he always looked forward to. Left to cherish his memory are his loving family, brother Dr. David (Dr. Linda) Krill; niece, Dr. Mara (Dr. Bryan) Ganim; nephew, Matthew Krill; many friends and associates. He was preceded in death by his father and mother. Friends may join the family for visitation at Reeb Funeral Home, 5712 N. Main St., Sylvania, OH, Thursday, January 31, 2019 from 3pm to 8pm where the Funeral Service will be held Friday, February 1, 2019 at 10:30am. He will be laid to rest next to his parents at Mansfield Cemetery, Mansfield, OH. Those wishing to give a memorial are asked to consider the Krill Family Endowed Scholarship Fund at Ashland University, 401 College Ave., Ashland, OH 44805.